The purpose of my workshop is to inform and empower you and to show you that YOU have the ability to harness your own power and inner strength. Improve your image, from the inside! 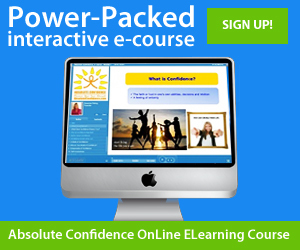 Learn what AUTHENTIC confidence is all about and how to live a happier and more fulfilled life by discovering your inner strength, your authentic self, developing a positive self-image, gaining self-respect and having the confidence you've always wanted and start living the confident life you deserve! REGISTER FOR THE WORKSHOP ~ CLICK HERE! Meet other women that are going through some of the same things that you are in a positive, comfortable and non-judgmental environment that builds strong, confident women who are ready to create a happier life!. Don't miss out on these success tools that every woman must possess! "I have attended Suzanne's informative workshop about how to love myself and feel confident about myself. It really opened my eyes to everything that I didn't believe in myself. This workshop changed my life forever and I have tears in my eyes just writing this. I used to take diet pills every day not liking who I was or what I looked like. I was very negative and depressed with my life. Suzanne had a slide show prepared with photos of her Empowered Women icons then photos of unhealthy women supermodels to illustrate what the media does to put unrealistic body images in our impressionable minds! !After seeing this I went and bought myself a big bouquet of Sunflowers and threw the pills away!!! Her teaching style really gets down into your soul and brings out a Powerful new beginning to your take on how you think and perceive other people and yourself in such a positive way that I am left wanting more and more of Suzanne's very true Positive outlooks and Classes!! I realized there are other women just like me and it helped to talk with them and discuss dreams, goals, aspirations and how to achieve them. 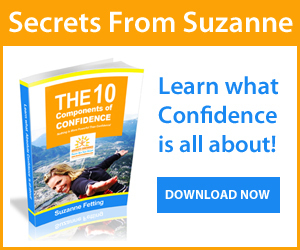 I will attend more of Suzanne's classes for supercharged confidence and Fabulousness every day!!!" "Suzanne you are a truly great speaker, so at ease with what you do, it is very inspiring. With other workshops that I have attended in the past, it can be difficult to get over the initial fear of sharing your thoughts and emotions with a group of strangers, but you made every effort to make sure that we knew that we were in a safe, non-judgmental environment. Your infectious personality never lacked authenticity, allowing us to truly open up about the things in life that bring us down and the others that give us the power to move forward, happily and successfully." "Wow, i have to tell ya i didn't expect to come out of your class feeling so inspired to really change my life. i didn't realize the depth you were taking the class - what i expected was - how to be bold and assertive 101. But really your ideas and information was really eye opening. Very inspiring, it goes much deeper than just being able to speak your mind."